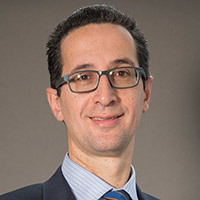 Robert Radici (BEng (Civil), Grad Cert Bus Law, LLM) is the Head of Commercial, Supply Chain, and Risk at Clough, an Australian engineering and construction contractor providing full asset lifecycle services within the oil and gas, mining and minerals, and infrastructure industries. Headquartered in Perth, Clough has operations throughout Australia, South East Asia, North America, Scotland and South Africa. In addition to his Bachelor of Civil Engineering, Robert holds a Master of Construction Law from the University of Melbourne. With 22 years of industry experience, Robert has a demonstrable track record in successful project delivery, both onshore and offshore, through projects entailing EPC, EPCM, construct-only and Alliance delivery methods. Additionally, Robert has held senior contracts and commercial roles with an international offshore EPC contractor, and major oil and gas operator. The combination of both contractor and client-oriented experience has provided him with a greater awareness of the issues that may be encountered by both parties, and the knowledge with which to explore a wider range of project delivery solutions. During his career at Clough, Robert has been heavily involved with the preparation and resolution of major project claims, and formal dispute resolutions across the organisation.